This boat is a Sloop with a Mast-head Rig, and 271 sq. feet of sail area. She has 2 Sails, Including a Full-batten Main Sail, and Genoa. She has a Center-board. The Hull is Original Gel-coat, and is in Good condition. 1 Evinrude Gas (Outboard) Engine, 8 horse power. winter-cover, roller-furling, Pop-top, Swim-ladder, Anchor, full head with Holding-tank, Outboard, etc. 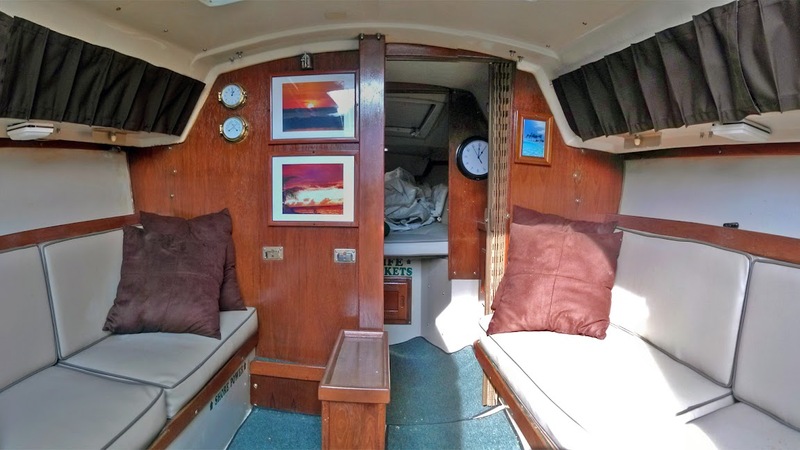 Get on the water today, with this pocket-cruising Catalina 25. Because you could be sailing in no time. 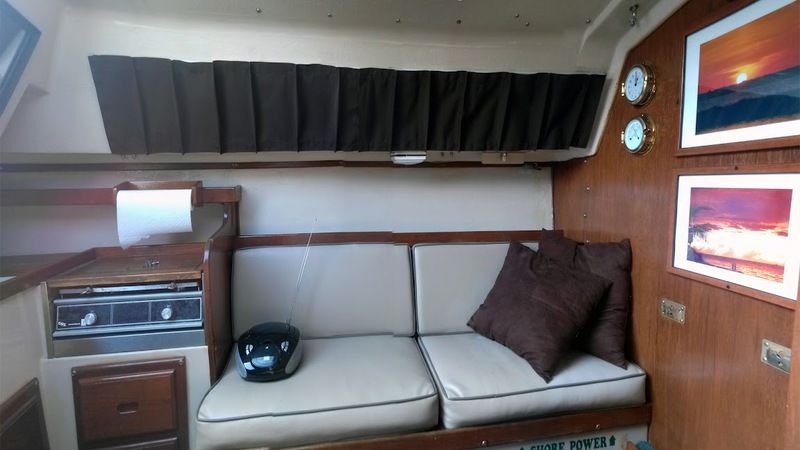 This Catalina 25 has a beautiful interior, recently re-upholstered with new cushion covers, and Port-light drapes. 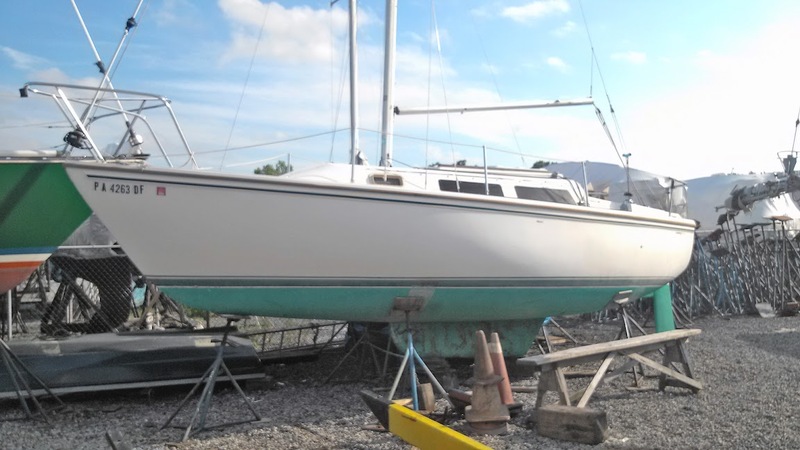 She has a winter-cover, roller-furling, Pop-top, Johnson Outboard, and more. With over 5000, catalina hulls built, you will never lack the resources and professional knowledge availability to keep her up to date.. If you want to be cruising today. This Catalina 25 is for you.